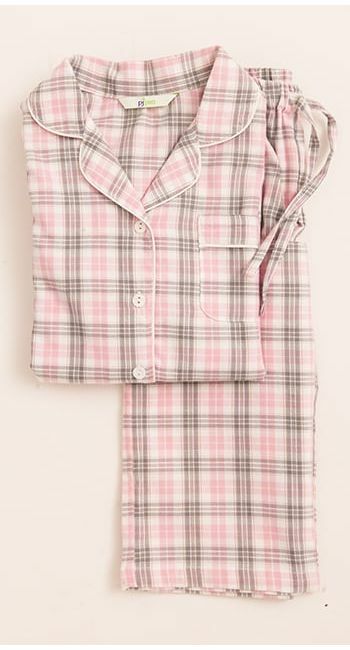 Flattering cotton pyjama shorts in a soft pink and grey brushed cotton check. We love these with our grey bamboo jersey vest. Other matching nightwear items available in the women's and children's collections.